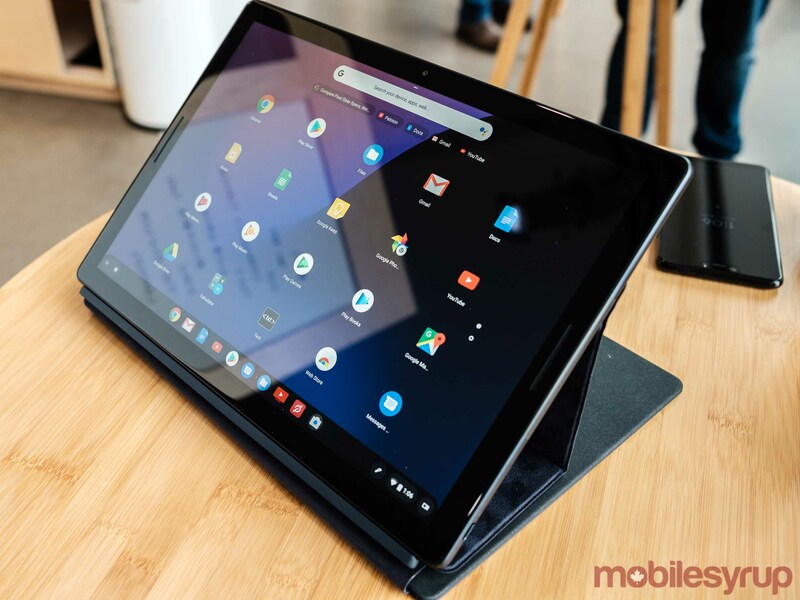 The Pixel Slate is Google’s latest take on the laptop-tablet hybrid category, as well as the spiritual successor to 2015’s Pixel C.
The tablet features a 12.3-inch touch-screen display with a 3000 x 2000 pixel resolution that comes in at 293ppi (pixels per inch). The first thing most will likely notice when they see the device in person is just how impressive the display really looks. Google says the Slate feature the highest resolution available in this category of devices. 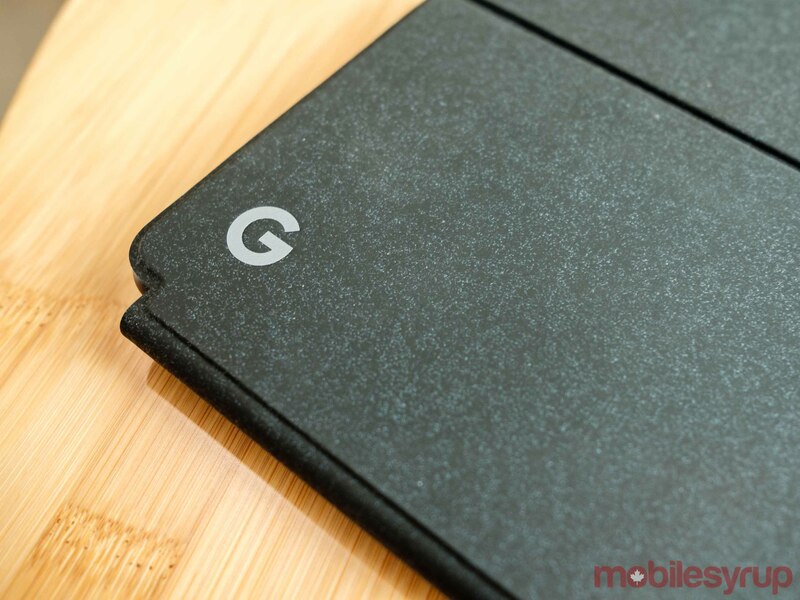 The Pixel Slate also comes with what Google is calling “low-temperature polycrystalline silicon technology” in the screen, which allows for 100 times faster movement of electrons versus a standard display. The new colour for Pixel Slate is called Midnight Blue (don’t worry, there is a Pen to match). The device features rounded corners and a balanced centre of gravity, so when you hold it with one hand there is no awkward balancing. It’s surprisingly comfortable to hold the Slate with just one hand. There are two front-facing speakers for dual-firing stereo sound. Google also created an audio algorithm with a custom profile for “crisp high and lows.” That said, it was hard to hear it clearly in the loud hands-on area of the event. There’s also an 8-megapixel camera on both the front and back of the Pixel Slate, which features machine-learning algorithms similar to Google’s Pixel smartphones. Portrait Mode is available on the Pixel Slate because of this, as is a wide-angle lens on the front of the tablet-laptop hybrid device. While the Pixel Slate doesn’t come with a keyboard like last year’s Pixelbook, you can purchase the new Pixel Slate Keyboard separately. 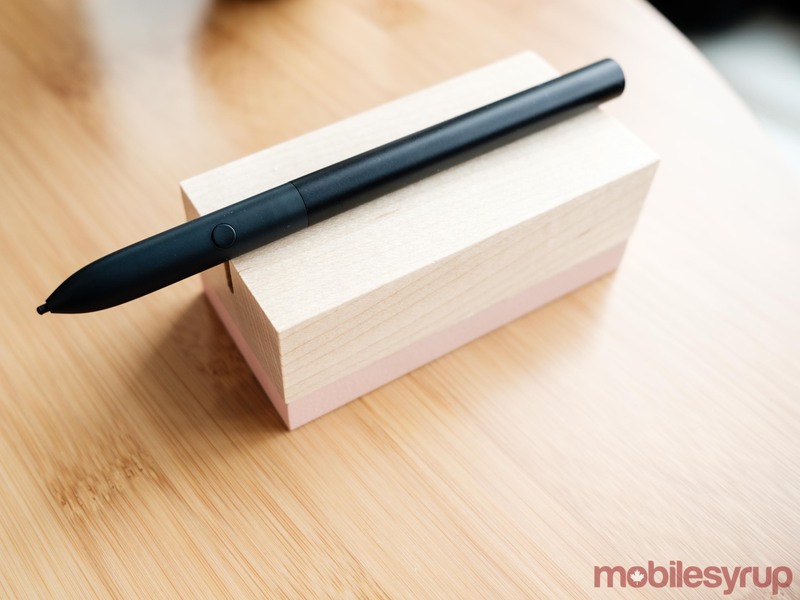 It attaches to the tablet with a snap through built-in connectors, similar to Apple’s iPad Smart Keyboard, so you don’t need to pair or charge the accessory. 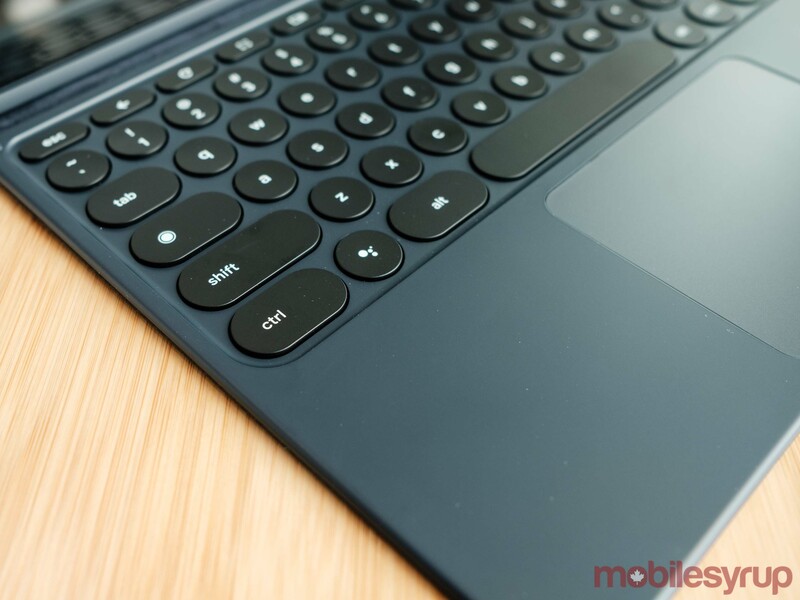 The keyboard also features rounded “hush keys,” as Google calls them, which are backlit. 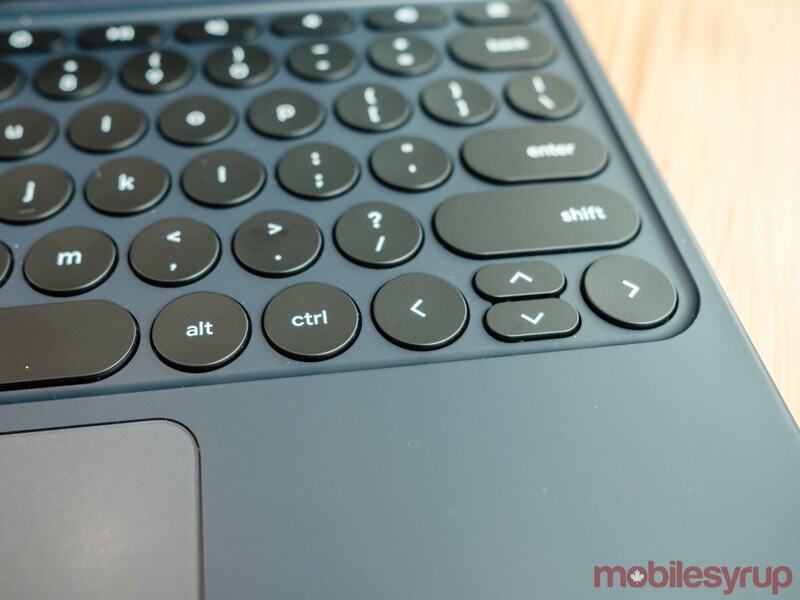 The Slate Keyboard is full sized and feels pretty solid to type on. It’s a little less sticky and has more travel than the Pixelbook, which was a great keyboard in itself, and the trackpad feels very comfortable to use. Concerning the experience of actually using the trackpad, I found it comparable to a MacBook trackpad versus the one featured in Microsoft’s Surface. The folio of the Pixel Slate Keyboard can be adjusted infinitely due to its kickstand-like apparatus to hold up the screen. You can then also flip it around to act as a case — again, similar to Apple’s iPad Smart Case. Google redid the UI and Chrome OS for Pixel Slate, optimizing it for a touch screen. You swipe up to close apps, like with Android P, and have both a desktop or tablet interface depending on whether the keyboard is attached. Google Assistant is integrated more deeply, plus machine learning is used in the launcher to quickly recommend apps that you use frequently or may need next. There is a desktop experience that lets the user run developer tools as well as full-powered Linux apps. Multi-tasking is available for split-screen view, plus there is Do Not Disturb and Night Light features as seen on Android Pie. Family Link is also built in to limit device usage times, content type, apps and more. Virus protection and background updates come standard in the Pixel Slate, plus Google’s Titan Security Chip is inside to store personal information, device passwords and more. The power button also acts as fingerprint sensor. Though I only spent a short period with Google’s new Pixel Slate, the time I did spend with it left me impressed. The build quality felt solid to both hold and look at after first impressions, thanks to the screen’s impressive resolution and viewing angles. I definitely could see myself using this throughout the house and on the go for both work and fun, even though Chrome OS can sometimes be finicky to maneuver sometimes. 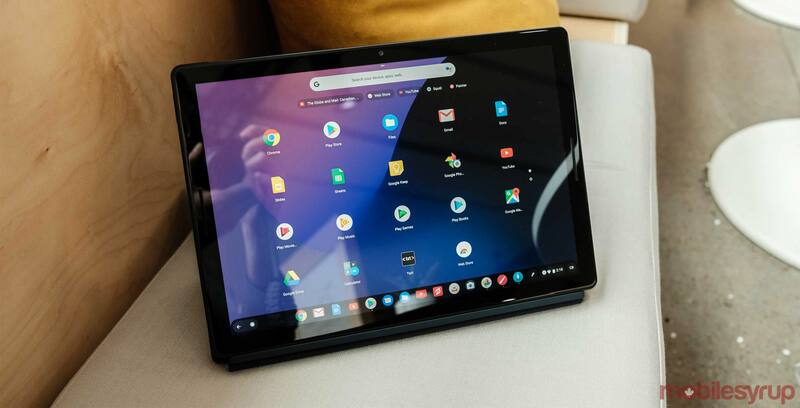 Google’s Pixel Slate also continues the company’s Pixel modus operandi of integrating software, hardware and AI for a complete experience. My biggest concern as it stands so far is using the Slate on my lap. Now that the Pixel Slate uses an optional keyboard accessory, it likely won’t rest as comfortably on the lap while typing when compared to its predecessor. That said, I have been using a Microsoft Surface Pro as my main computer for the last month and I’ve gotten used to optional keyboards, though I still feel like this is an issue that should be flagged. Google’s Pixel Slate starts at $849 CAD Canadian and is available for pre-order now through the Google Store. The Pixel Slate Keyboard is priced $259 and the Pen, now available in Midnight Blue, is $129. Mobilesyrup will have a full review of the Pixel Slate and Pixel Slate Keyboard in the coming weeks.